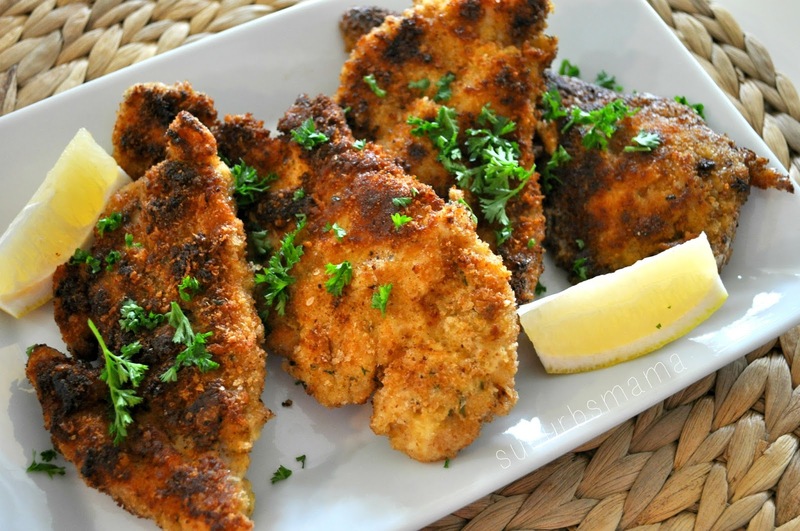 Chicken Schnitzel is a regular in our house, I especially like to make it for Shabbat since it reheats nicely and can be used the next day for sandwiches, salads etc. Transfer pounded chicken to a bowl and season with salt and pepper and minced garlic. Dredge the chicken in the flour, shaking off any excess, then dip in the eggs and coat evenly with the panko. In a large skillet heat the butter and oil. Add the chicken and cook over medium-high heat, turning once, until golden and crispy. Transfer the chicken to a paper towel-lined plate/sheet to drain. Once oil has drained, move to serving dish and sprinkle with parsley. This looks delicious! When do you add the mustard?